Following a productive day of information sharing and discussion here in Vienna, we have reached an agreement to work together to grow the game in both of our countries. We share a passion for creating opportunities for Austrian players to play at the highest levels and for Canadian players to take advantage of the fantastic opportunity that is football in Austria. With football season in Austria set to start on March 16, the top players from that country will not be able to participate this spring in the CFL’s National Combine for top Canadian prospects and players from around the gridiron football world. But we look forward to future years and all that we can achieve together. The agreement with the AAFF is the latest in what has been an list of international partnerships for Ambrosie and the CFL. 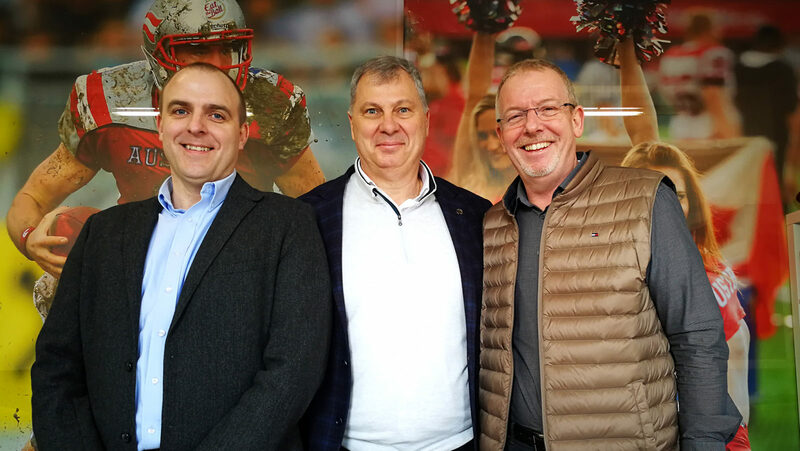 On Tuesday, The French American Football Federation was the latest group to sign onto Ambrosie’s vision to strengthen the CFL and football around the world by strengthening ties between countries where gridiron football is played.